In case you get a defective item or you are not satisfied with a product, purchased on the Neoglory LLC website, during the first 180 days after purchase, it can be exchanged or refunded within 2-3 weeks after we receive and process your return. You do not need to return defective or damaged books and DVDs, unless it’s a global product issue that we need to inspect and/ or get back and return to the manufacturer in order to receive credit. Take notice, shipping and handling fees are non-refundable. It is the responsibility of our customers to return shipping fees. You can return the purchased at Neoglory LLC item if it does not correspond to its previous description, as there can be some errors or inaccurate information on the website. Our users may discontinue any monthly membership program and cease incurring any further charges for these membership programs at any time (unless otherwise specified on the sales page or other written contract you have agreed to). In order to improve our services and products we will be most grateful to you if you inform us about the reason(s) you are not completely satisfied with our product(s). 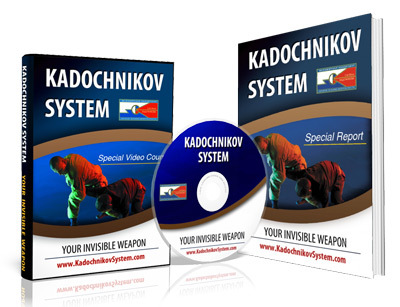 If you have any questions concerning our return policy you may contact our customer service department at info@kadochnikovsystem.com Our staff will provide you with the necessary instructions. The instructions can be also included on the packing slip you receive with your order. There are no refunds for coaching services and consultations once your consultant(s) or coach(es) has/have booked in their schedule a specific time. Consider this carefully before paying for such service on our web page. They have the right to charge for this service. We believe that this is fair, because in order to hold a consultation for you the consultant and/or coach may turn down other business. I don’t have a computer and so I was wondering if your course can be downloaded to my Android phone? Thank you so much for your time.